At TEXAS FRESHRAIN®, our goal is to provide a safe alternative to chemical-laden pools and tubs. With our one-of-a-kind hot tub and pool systems, we help you keep your family safe while you enjoy the water. For a little more insight into our system, see what our previous customers have to say. "I'm not putting my kids in a chlorine bath. Freshrain absolutely delivers on its promise. I love having a hot tub now." 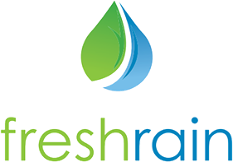 "The Freshrain system is truly hassle-free. We haven't had to clean our tub since we installed freshrain. Once you've tried Freshrain, you'll never let it go. It's absolutely unbelievable."